No experience is needed to become a White Collar boxer. All our boxers receive a FREE 10 week white collar boxing training programme to help build their fitness and teach them the techniques needed to get them ready for the big night. 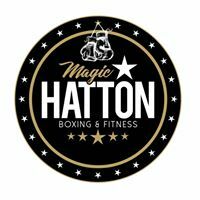 Our boxing academies are based at Magic Hatton Boxing and Fitness in Bredbury, just outside Manchester and Tameside Elite Boxing Academy. We work with world-class, dedicated coaches who deliver outstanding training programmes backed by comprehensive nutrition and diet advice. To succeed and reach your maximum potential, it’s down to you to put in the work. You’ve all heard “no pain, not gain” We’ll show you what that really means! Additional fitness training and focusing on the right nutrition is essential throughout the programme in order to be prepared for the fight which is why we help you to understand it. Train with the best. We offer competitively priced 1 to 1 training sessions, where we guarantee that you will improve your fitness capabilities to help get you to the level that you want. During these sessions, tailored nutrition advice will also be given in order to help you reach your maximum performance potential. When you sign up to one of our events you will receive a full, professional running plan.